I think purple fountain grass is quite photogenic; I've photographed it a few times! 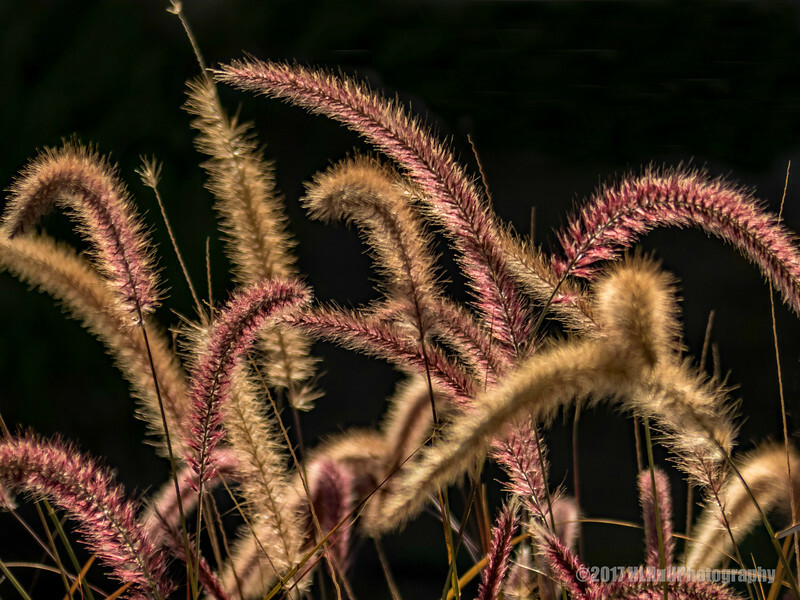 Wonderful capture of this popular ornamental grass. I've tried repeatedly to photograph this variety and never come close to getting a shot this good. This is lovely and the light is pure perfection! The light on these delicate grass heads is beautiful. I really like them against the dark background. Love the colors and details in this grass shot.